After 3 fulfilling days at Kenting, our holiday was coming to an end. We left Kenting and headed back to Kaohsiung. It was New Year’s Eve and Mr Chen drove down from Taizhong to meet us. 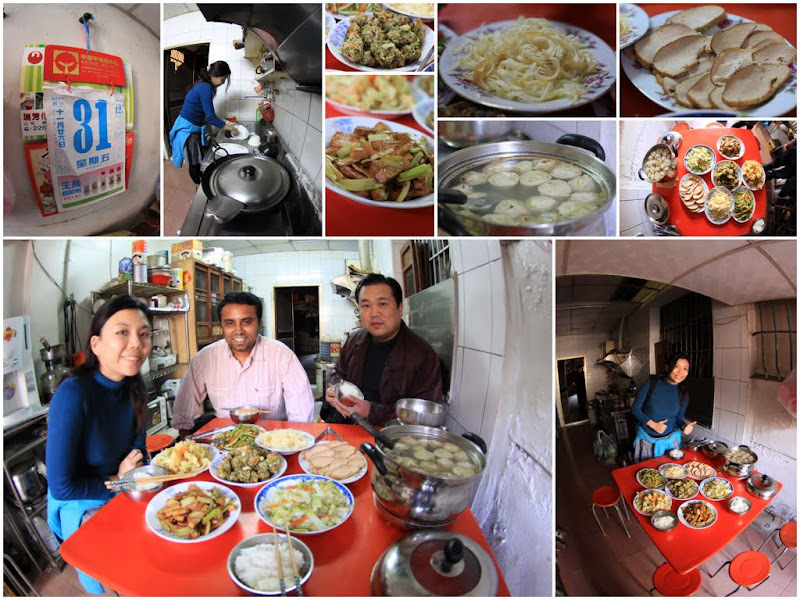 He invited us to his house in QiShan for New Year’s Eve Lunch. His mother has prepared a sumptuous vegetarian meal for all of us. It was a 30min drive from our hotel to his house. Mr Chen’s house is huge! He has big plans to expand his ancestor’s home. 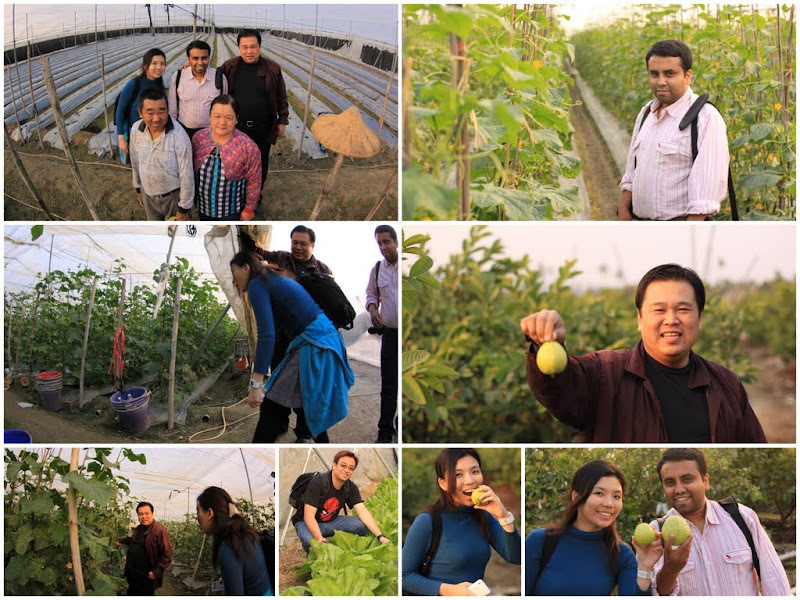 After lunch, Mr Chen brought all of us to his plantations where his family worked. They have a pretty big estate where they grow Japanese cucumbers, bananas, honey guavas and vegetables. His family are very warm and sincere people (it reminded me of the old Kampong spirits we had before). They showed us around the plantations and their works. Mr Chen plucked some of the fruits and his mother cut the fruits for us to eat on the spot. I was never a guava fan but their guava was so tender, sweet and juicy! Thanks to Mr Chen and his family, we had a very interesting and unusual tour. Later that night, Mr Chen brought us to “Eda World” (高雄義大世界煙火秀) for the 2011 Countdown Party. This was more than just another New Year celebration. It was also Taiwan’s 100th Republic Year celebration (中華民國建國百年國慶)! The organizers promised the biggest and longest firework display in Taiwan. (Capital Taipei’s 101 fireworks lasted only 288 seconds while Eda World was 3 times longer at 610 seconds!) 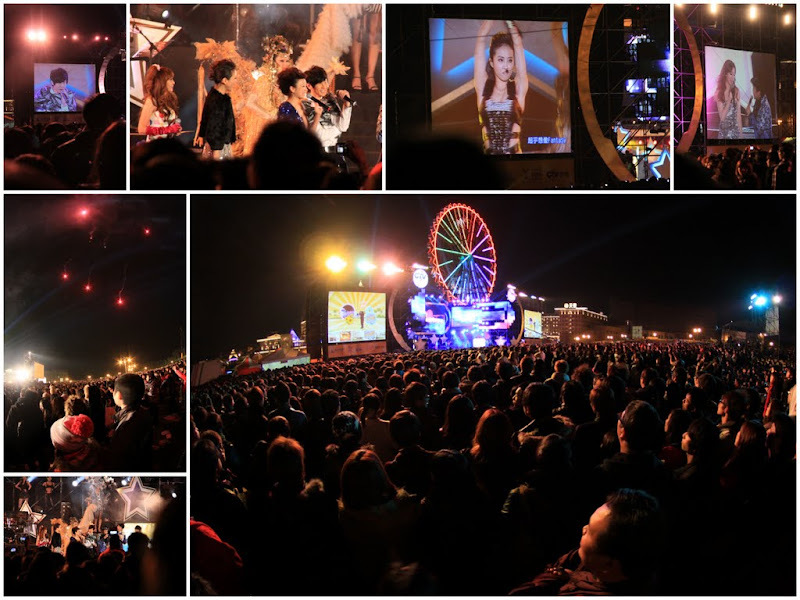 We saw many stars that night – Lin Junjie (林俊杰), Jolin Tsai (蔡依林), Jacky Wu (吴宗宪), Luo Zhixiang (羅志祥), Yang Chen Lin (楊丞琳), Dai Pei Ni (戴佩妮) and Ah Ya. It was a free public event! The stars entertained the crowd from 9pm to 1am! 30 minutes before the big countdown to 2011, Mr Chen bought us a KongMing Lantern (孔明燈). I was so excited as it was a first for me. 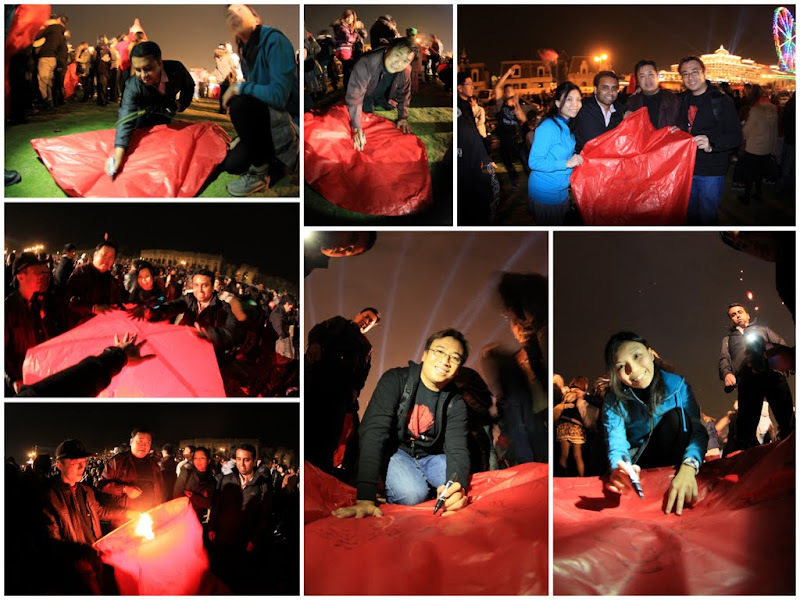 We wrote our new year wishes on the red lantern and watched it took off into the dark sky. Hundreds of people took part in this traditional ritual that night. We saw numerous red lanterns floating up into the sky. It was such a memorable moment for me! It was simply enchanting! 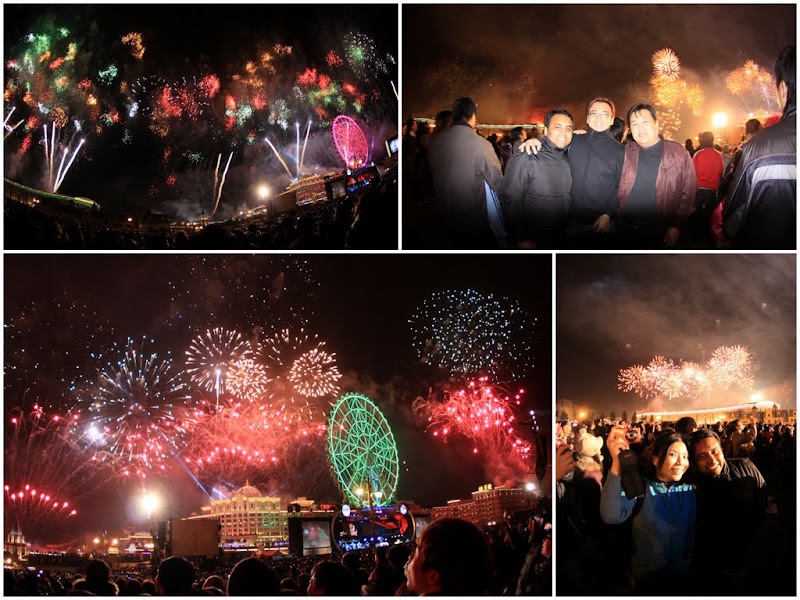 At the very first second into 2011, the big 1km wide firework display illuminated the sky! This was the biggest New Year Countdown Party I ever attended! 50,000 of us were out there that night! The atmosphere was beyond words! We hugged each other, stood there and deeply engrossed in the colorful fireworks displays. What an unusual holiday! We had a marvelous 2010 Closure and a spectacular 2011 Opening! It was time to pack and go home! Everything we did in our trip was pretty “impromptu” and very spontaneous. No planning, just traveling. We did not want to strain ourselves with a heavy itinerary. In fact, there was no itinerary at all. Somehow, this relaxing way of traveling was ideal for us. There were just too many things for us to discover in southern Taiwan. Every turn was an intriguing surprise. At the end of our journey, we got more than what we can imagine. We were very amazed to experience so many things in the last 6 days! Crossing Dona suspension bridge, caving, snorkeling, soaking in our private jacuzzi villa, motor-riding up the moutain, going full-monty at the local strip-bar, running to the southern most tip of Taiwan Island, farming at Mr Chen’s estate, counting down with Jolin Tsia, JJ and 50,000 thousand people, setting off new year wishes on KongMing Lamp and visiting the scenes of Cape No. 7! It was an amazing trip! If only Felicia and Elkan were here, this would have been a perfect holiday.